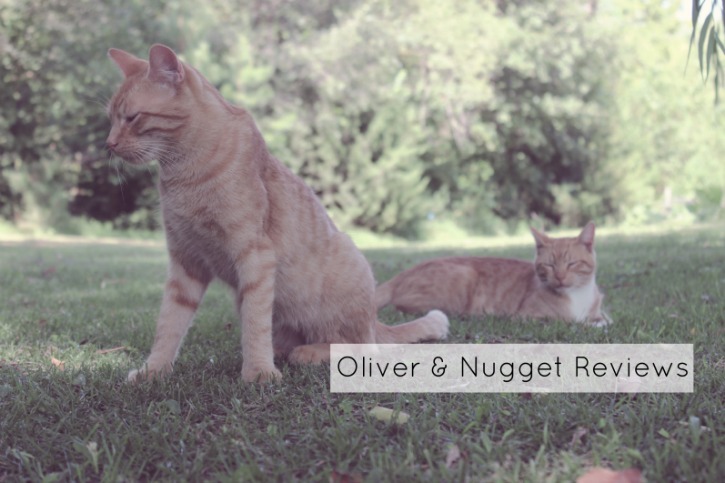 Oliver & Nugget Reviews: Greenies Feline Oven Roasted Chicken Flavor Dental Treats | Chelsea B.
Hi guys! It's Oliver and Nugget. Did you guys know that February is #NationalPetOralHealthCareMonth? That's why today we're going to review the Greenies Feline Oven Roasted Chicken Flavor Dental Treats! These treats are a unique shape and are crunchy, which helps reduce tartar. Each treat is only 1.25 calories and doesn't have any artificial flavors or preservatives. Obviously we picked the chicken flavor because we love all things chicken! But you can get them in other flavors too. We LOVED these treats! Mom almost couldn't get a picture of us because we were just so excited about these treats! We've been trying these for a little while, and Mom has definitely noticed a change in our breath. She also has been able to see that our tartar buildup is much better. We think these treats are whisker lickin' good and give them five paws up!